His usual style of performance is to both sing and talk in the guise of 'Frank Sinatra', imitating his cabaret style in tuxedo and bow tie, or 'rat pack' style lounge suit. Freddie is experienced in working with specially written arrangements, accompanying bands or performing with professional, high quality backing tracks. Highly recommended is his cool show, with a fabulous eight piece swing band. Freddie captures the voice of 'Sinatra' perfectly with his unique show. 'His vocal resemblance to Sinatra is uncanny' Bob Browning, Sinatra appreciation Society, UK. He can perform either to playback or with band. Arguably the biggest and greatest singing performer of all time is uniquely recreated in this fantastic special tribute performance. Freddie recreates Sinatra the Superstar with his show. He performs with bands and quality written arrangements or with professional backing tracks, sounded and orchestrated from the original recordings. He has performed as Frank Sinatra at various prestigious venues and on TV, both at home and abroad. Fred first performed live on ITV's 'Stars in Their Eyes' and was asked to come back to perform on the Christmas edition in the same year. Fred has since performed on the Spanish version of the show as a special UK guest singer. on satellite TV programmes such as Play UK's 'Poppleganger'. More recently he has appeared on CBS television prior to performing a live casino show in Portland, USA. In November 2002, Freddie starred in a production titled 'Strictly Sinatra' at the Olympia Theatre, Dublin. 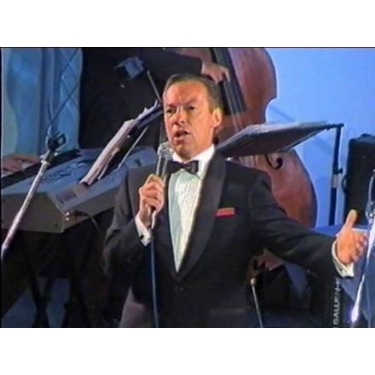 Depicting the life story of Frank Sinatra, Fred performed over 25 Sinatra classics with a supporting 16 piece band. More recently he has starred in the 'The Sinatra Show' at a number of venues with sell-out audiences. Notably Aldershot Princes Hall, Potters Bar, Dorking Halls and Royal Leamington Spa. The Rat Pack Show, Istanbul with The Istanbul Big Band	Frank & Dean, The Pavilion, Exmouth. 'Sinatra & Friends' Alexandra Theatre, Bognor Regis.